For the second year in a row, BioTek Instruments was selected as winner of the SelectScience “Scientists’ Choice Award for Best Drug Discovery Product”. This year their new Cytation™3 Cell Imaging Multi-Mode Reader was the winner (last year it was their Synergy™ NEO HTS Multi-Mode Microplate Reader). 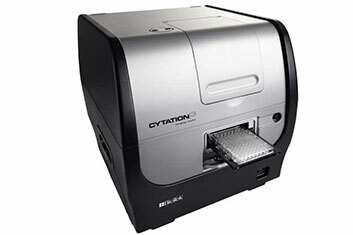 The Cytation3 was also one of three winners of the the first annual New Product Innovation Award, given by MipTec organizers at the 2013 MipTec Conference & Exhibition in Basel, Switzerland.